Rundu is the capital of the Kavango-East Region in northern Namibia, situated along the banks of the Okavango River. Its rather off-beat location serves as a passage to bigger attractions further up north, including the Etosha National Park and the Okavango Delta. Many travellers find respite here as the town offers spectacular views of the surrounding rivers and landscapes. Cheap flights to Rundu are now available for a limited time only, so book your flight today and experience the tranquil surroundings and vivacious spirit of the locals in this city! Rundu is home to Rundu Airport (NDU) situated 10 minutes from the city centre and is easily accessible by car. Feast your eyes on the magnificent attractions of Popa Falls and the wildlife at Mahanga Game Reserve. Kick back, relax and enjoy the views along the Okavango River. A stop in Rundu wouldn’t be complete without a hand-crafted wooden souvenir from one of the roadside markets. 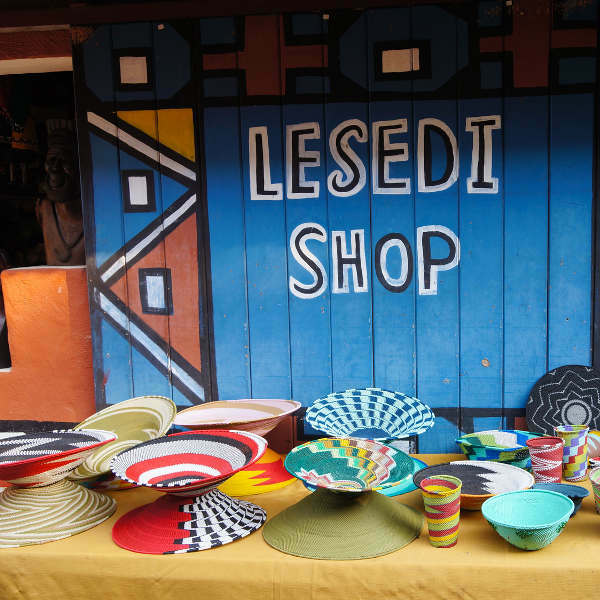 For a truly original piece, purchase a few carvings from the Mbungura Woodcraft Co-op, in support of the local villages. 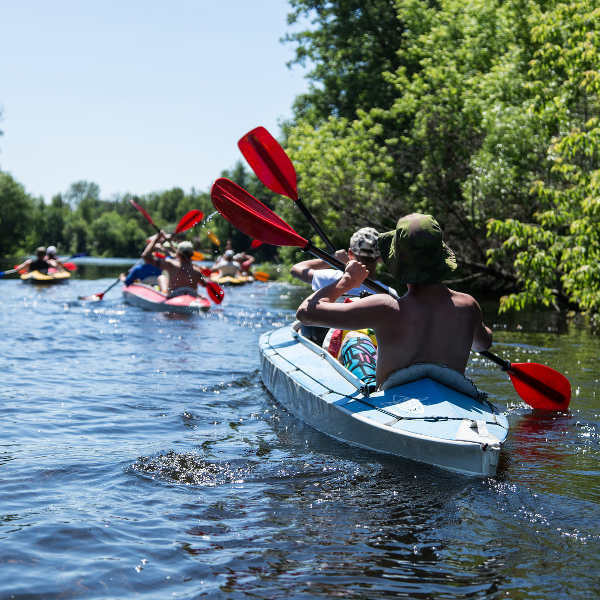 Immerse yourself in the wonderful scenery as you gently kayak along the Okavango River, stopping along Rundu Beach for a spot of sun-tanning before continuing into the sunset. Rundu is influenced by a subtropical, semi-arid climate. The best time to visit this region of Namibia is between April and October when there is little to no rain. Peak season occurs in July when schools are on holiday. Be sure to book accommodation well in advance to avoid disappointment. Tourists are discouraged from going to Rundu between December and March, as this is the wettest time of the year, often bringing flash floods, making outdoor activities nearly impossible. Situated in Northern Namibia, Rundu is the capital of the Kavango Region, and borders on Angola. 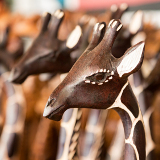 Rundu is essentially a market village famous for the wooden carvings and ornaments made by the locals. Rundu often serves as a stopover en-route to many other destinations in Southern Africa such as Chobe National Park, the Okavango Delta and Etosha National Park. 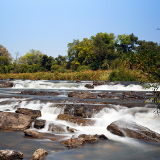 Set on the banks of the Okavango River, this quaint town offers breath-taking views of the river and its wildlife. Restaurants found in the city centre offer visitors an opportunity to experience traditional Namibian cuisine. If you find yourself on the Rundu Beach (the river bank), look out for the various bars and restaurants that can be found along the river. Compare several airlines, and book your cheap flights to Rundu online at Travelstart! There are no vaccinations required for entry into Namibia. If you are passing through a region prone to Yellow Fever en-route to Namibia then you are legally required to have proof of vaccination. Malaria is prevalent in the region surrounding Rundu so it is strongly advised to take medication before, during and after your trip. Make use of mosquito nets and mosquito repellent! Be aware of cholera, particularly in more rural areas outside the city. If you decide to get vaccinated against cholera, this needs to be done 6-8 weeks prior to your trip. Tap water is ok to drink but may taste a little metallic, so you may want to stick to drinking bottled water and always stay well-hydrated. A good travel insurance policy is advised, as there are no major hospitals in this city and should you require serious medical care, transport and health costs can work out to be very expensive. Rundu is a very safe city and walking around by day is perfectly fine. Try to avoid walking the streets at night as petty theft does occur, particularly if you are carrying expensive equipment around. 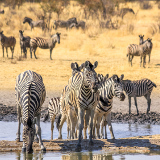 Serving mainly as a stop-over point for travellers on their way to or from the Etosha National Park, Rundu is a small town offering a few good accommodation options in the form of camping, guesthouses, bed-and-breakfasts, lodges and hotels. 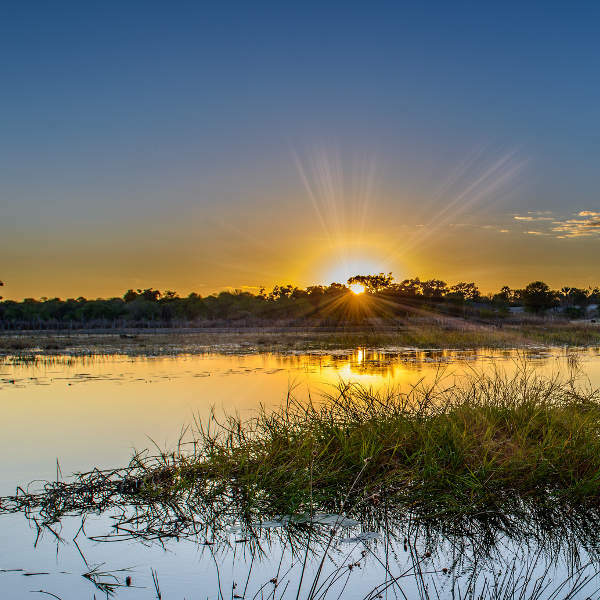 With the soothing sounds of nature on your doorstep, most tourists opt to stay in bush camps and lodges along the Okavango river. Some lodges offer exciting game-viewing and are very clean and safe. Guest farms are popular arrangements with larger groups, where you can stay on a private farm and all meals and excursions are arranged by your hosts. Cash is essential for buying petrol and small items, whilst most hotels, restaurants and larger shops do accept credit cards. South African Rand and Namibian Dollars are interchangeable, so you can pay with either currency. Keep in mind that you cannot change Namibian Dollars outside of the country. Most people passing through Rundu are travelling up to the game parks of Etosha, Caprivi or Chobe, in Botswana, and are most likely to be renting or driving their own 4x4s. There are four petrol stations in Rundu to fill up your vehicle, and a few shops and supermarkets can be found in the centre of town, should you need to buy a few essentials. Walking around the city will get you to nearby markets and attractions, though once the sun goes down it is advisable to rather taxi. Taxis are not always clearly marked, so to avoid being scammed, rather let your lodge arrange a taxi for you.